Ex-Bosnian Serb general Ratko Mladic has been convicted of genocide, war crimes and crimes against humanity. He was on trial at the UN tribunal on war crimes in the former Yugoslavia, accused of ordering the massacre of 8,000 Muslim men and boys at Srebrenica. The court sentenced the 74-year-old to life imprisonment. Proceedings were earlier interupted for more than an hour while Mladic underwent a blood pressure test. ​“They took his blood pressure during the break. We don’t know the readings, but they said they could continue with the verdict. We are very concerned about his blood pressure because he has already has four strokes,” ​his son ​Darko Mladic said. He returned and screamed “this is all lies, you are all liars”. Mladic was the Bosnian Serb army commander in Bosnia’s 1992-95 war and is also charged with crimes against humanity over the siege of Sarajevo in which 11,000 civilians died from shelling and sniper fire. The Srebrenica slaughter was Europe’s worst atrocity since World War Two. 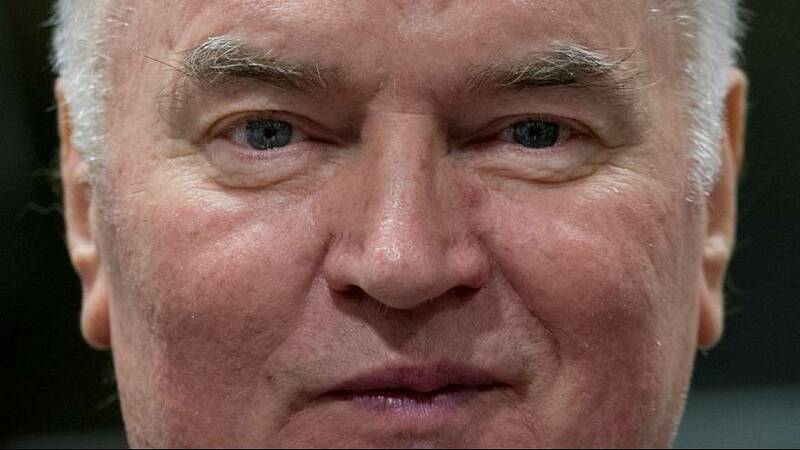 Mladic faced 11 charges in total and pleaded not guilty to all of them. He is expected to appeal if convicted. 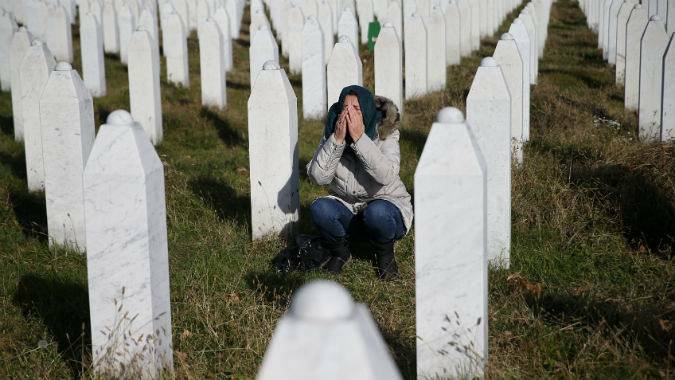 A woman covers her face at the graves of her family members near Srebrenica after Mladic was convicted. 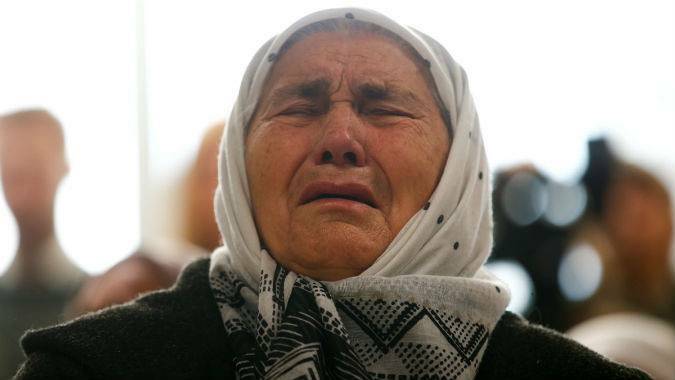 A woman reacts as she watches a television broadcast of the court proceedings of former Bosnian Serb general Ratko Mladic. 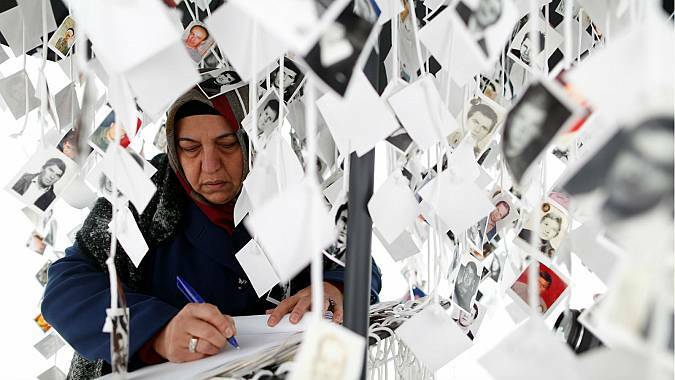 A woman writes in a book inside a traveling monument called ‘Prijedor 92’ outside the Yugoslav War Crimes Tribunal as she waits for the verdict against former Bosnian Serb military chief Ratko Mladic.